The latest and greatest about all your favorite published Wattpad books can be found in this story. 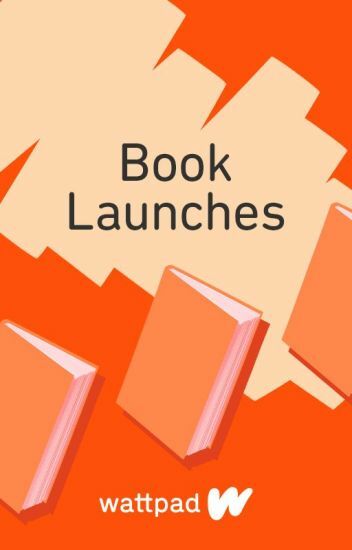 Now with even more publishing deals happening, find all the details and buzz about which Wattpad books you can purchase in bookstores and online right here. Heartbeats is all about love and romance; short snippets of heartfelt writing that aim to lift you, surprise you, and wrap you in a literary hug for a few moments wherever you might be. Let Heartbeats be your guilty secret in the queue at the bank, your small moment of fun in a boring lecture, or your cuddle over your morning cuppa. Heartbeats: a collection of our favorite romantic quotes, tweets, fun challenges, general news, and a place to commune with your favorite romance readers and writers. New updates every week! Teen fiction is one of the few genres that cross with several others: from sci-fi to romance to fantasy. Here's our chance to celebrate that by offering writer tips, help on writing different sub-genres, advice from teen fiction authors and a celebration of the many sides of teen fiction! This is where we talk about writing romance. Everyone is welcome! Tips Corner is an interactive learning format rather than teaching. We all love to read or write romance and whether we realise it or not, are experts and have ideas to offer. There are many 'how to' guides on writing romance so rather than provide another one here, we will learn from each other. There are no right and wrong answers and what works for one person mightn't for another. Hopefully our discussions will inspire us write the stories that attract gazillions of readers. This is where you can find details of contests currently running on Wattpad both directly by us, and by our wonderful Community profiles. Some will have prizes, some will be specific to countries or genres or themes, some will simply showcase your work on a wonderful reading list. But all our contests will get you thinking, and writing, and having fun as your pit your writing skills against your peers from the Wattpad Community. Your Wattpad storytelling experience is about to get a multimedia makeover with some new, enhanced capabilities. Find out more with this preview story! The 30 Day writing challenge #JustWriteIt, encourages everyone to try their hand at writing a story. On Wattpad, you can take the #JustWriteIt challenge any time of the year. Once you take the pledge, Wattpad will share staff and writer tips with you along the way. From emails, videos, and this story, Wattpad wants to help you finish a novel in 30 days. Welcome to a collection of personal stories from the Wattpad community. Read stories shared by Wattpaders from all over the world, and feel free to write your own! A few shared tips and tricks to fire up those engines and get the creative juices pumping again, all to write the best action stories ever. So a friend told you about this amazing site called Wattpad where you can discover and read a huge variety of stories FOR FREE, and even share your own! OR you found the Wattpad app when searching for a way to read stories on-the-go! Either way, you're here now and you want to get started discovering stories, sharing them with others, and even showing Wattpad authors some love by voting or commenting on their works! This guide will give you all the tips and tricks you need to get started! So let's get reading!! Readers and writers come to Wattpad from all across the globe to escape into a world of storytelling, share their passions with like-minded people, and discover the next big thing. Read this story for a better understanding of how Wattpad works and how to get the most out of it!